What do you do when your friend is going through a rough week? You know those weeks where nothing is going right and everything’s a mess (okay so I’m pretttty sure I just quoted an Avril Lavigne song) and job troubles, boy troubles, hair troubles, money troubles come crashing down all at once. One of those weeks where life is just out to get you. Normally the answers to all of the “Is it Friday yet?” weeks can be found at the bottom of a pint of ice cream but when your friend is a healthy/gluten free/dairy free chic who runs screaming in the other direction at the sight of the boys every girl depends on the most (Ben & Jerry – obvi) what is one to do? Enter the easiest and most scrumptious option ever. Let’s face it, a lot of gluten free replacements taste like cardboard. They are often super dry, super blah and super not worth the calories. 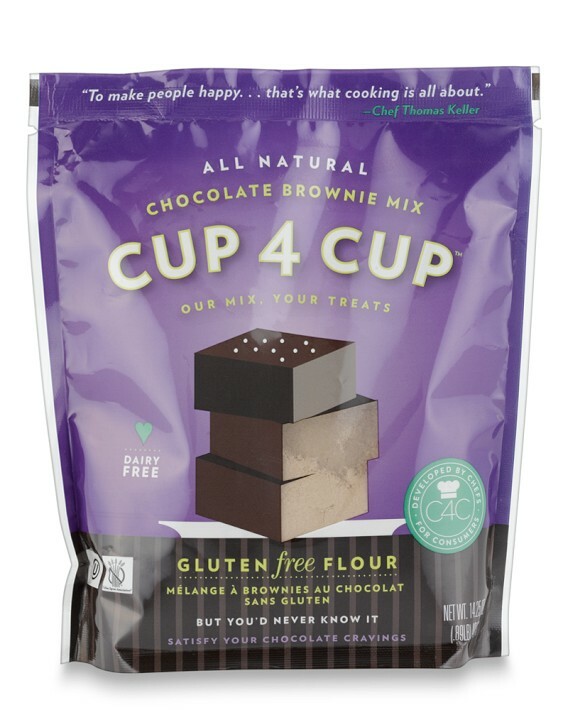 But Cup4Cup has come out with a gluten free/dairy free brownie mix that makes homemade warm, gooey brownies a possibility for those of us on the “gluten is evil and dairy is Satan” bandwagon. And even better? For those of us who are challenged in the kitchen (I may or may not have had a trip to the emergency room last year over an epic steak cooking fail…) or pressed for time, these bad boys couldn’t be easier to make. Coconut Oil (or butter if you still eat dairy), eggs and water. Oh and the brilliant mix. You just mix and bake at 350 for 35-45 minutes. See? Just mix. And put in a pan- it’s FOOL PROOF. But not delicious proof. 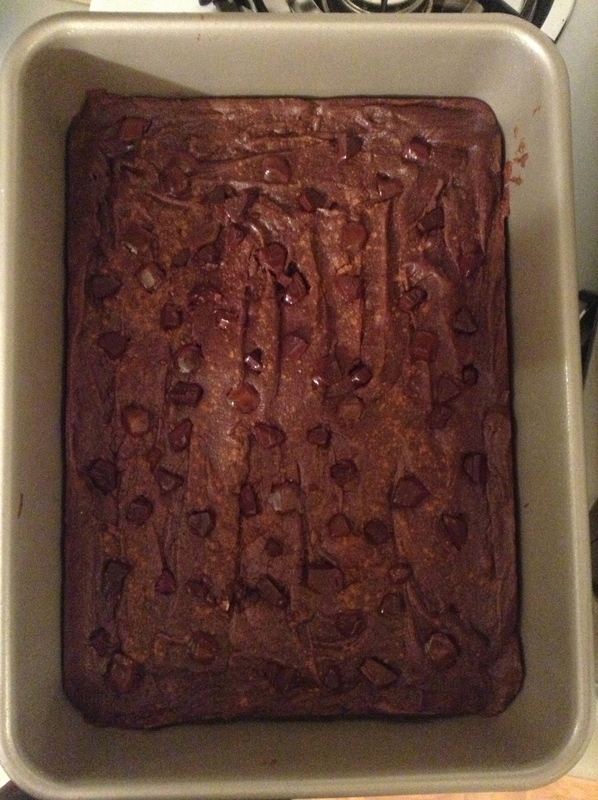 And while you can get all fancy schmancy and use the mix to make fancier chocolate goodness like Devil’s food cake, lava cakes, cookies etc- the straight up brownies are fabulous all on their own. 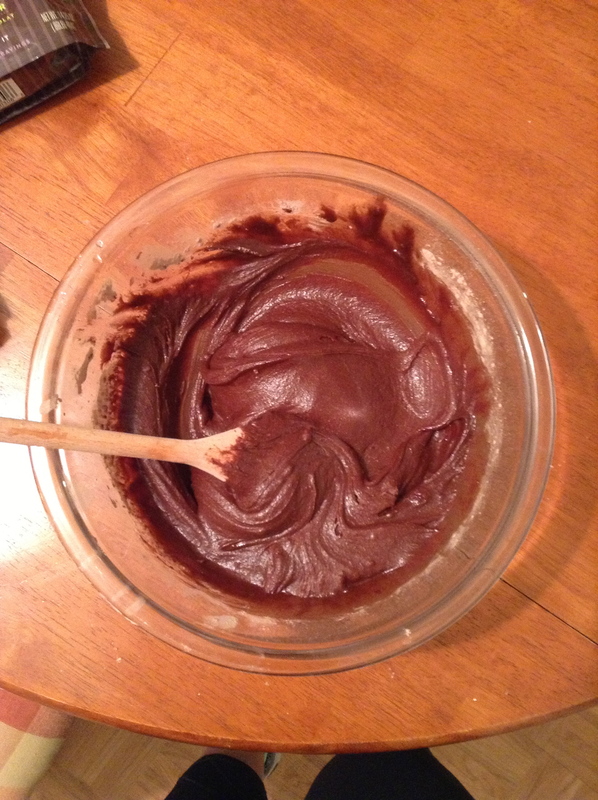 Oh and the batter is pretty excellent too. And yes, that is me eating batter while still in my gym clothes. 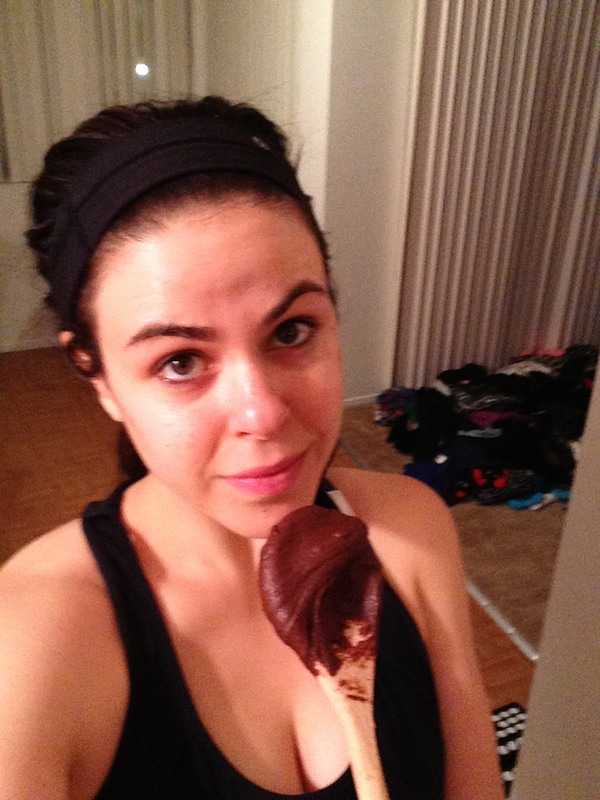 It doesn’t count if you eat batter while in your gym clothes… right? RIGHT? The next step? EAT. Well… okay wait for them to cool but I’m never good at that part. 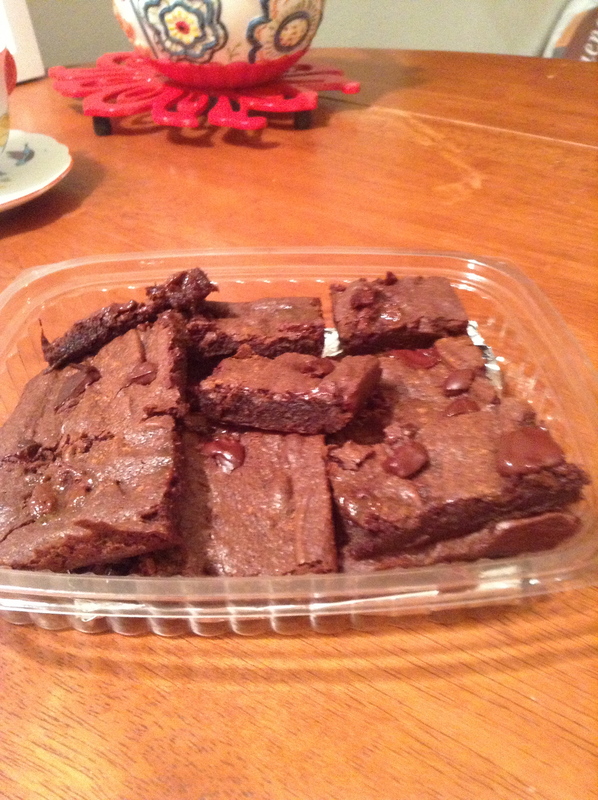 The verdict: my friend forgot all about her boy/job/life troubles and our non gluten free pal couldn’t believe these little squares of heaven were gluten free. And while my friend forgot about being sad, I was all of a sudden secretly sad for giving these away. I know, I know- life is better when you share! 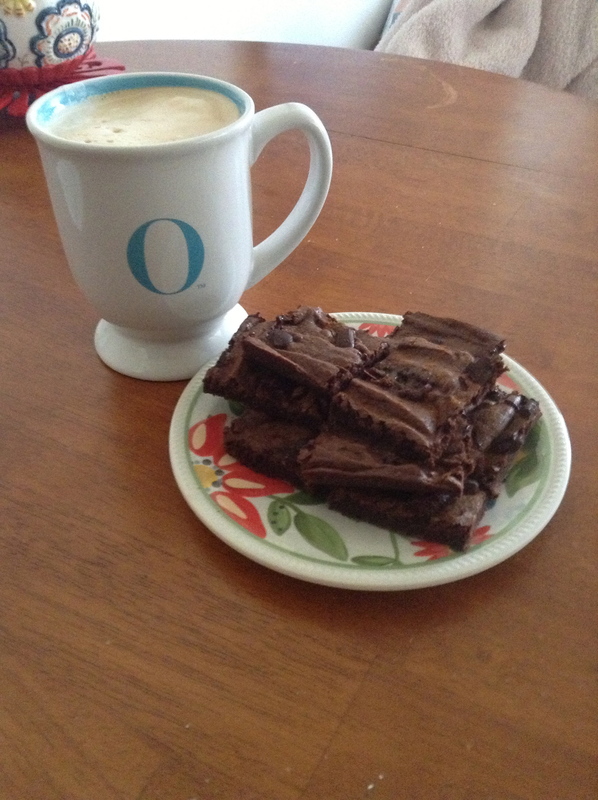 Who says brownie’s aren’t allowed for breakfast? Well, my mom probably did when I was like 5. And 15. And 25. But that’s the beauty of being a grown up. And besides, there’s an egg in the batter so it’s basically like I’m eating eggs for breakfast. 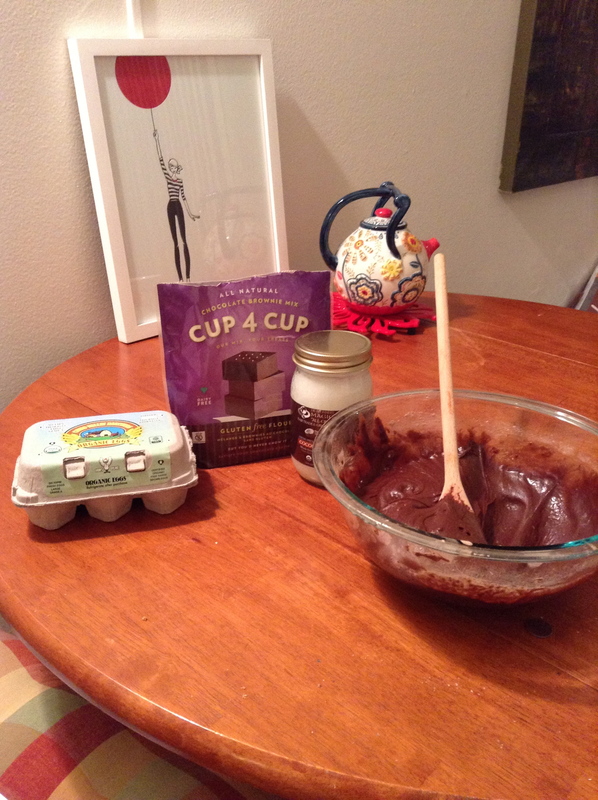 Really delicious, gooey, yummy, chocolatey eggs.